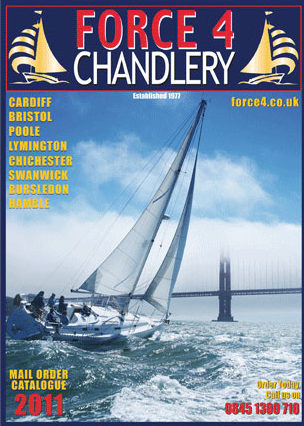 The Force 4 Chandlery catalogues are your first step towards an up to date compendium of the latest yacht parts, chandlery and sailing clothing throughout the year. You can refer to our Catalogues in confidence, because we have personal experience of using and fitting most of the selected products in the catalogue on our own boats. We offer a wide range of products in our Main Catalogue, which is usually released in early February, and then we release 3 further catalogues throughout the year that will display a range of the latest trends and tailored items to that season. Plus our Catalogue is completely free. Pick up the latest Catalogue in store or sign up for yours today.